Sphalerite is common, but it does not often show up in casual collections of minerals, despite its occurrence in several different colors. 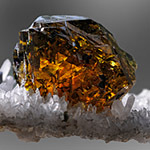 This is perhaps because sphalerite is most commonly found in black or dark gray due to the frequent presence of iron impurities in its makeup. 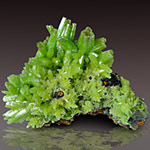 Pyromorphite is a secondary lead mineral, very popular among collectors. Pyromorphite forms outstanding and highly aesthetic bright green crystal clusters. Less often, this mineral is used as an ore of lead. Stibnite is the principal ore of antimony. The mineral is widely admired for its spectacular crystalline habits, which exhibit extremes of sharpness, luster and size. 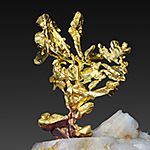 Its principal metallic component, antimony, probably received its name from the Greek anthemon, describing its flowery appearance in clusters. 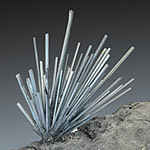 The Latin name for the mineral, stibium, survives today as stibnite. 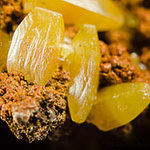 Wulfenite is a mineral species composed of lead molybdate, Pb(MoO4), sometimes occurring in sufficient abundance to be mined as an ore of lead, but in practice its molybdenum content is greater. 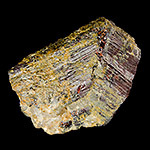 Even so, it is rarely used as an ore mineral because there are easier sources of lead or molybdenum available to exploit. 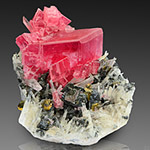 Rhodochrosite is a manganese carbonate. Its value now resides almost entirely in the quality of its hot pink and deep red specimens, which are sought after by collectors and command extremely high prices. How to clean mineral specimens? Mineral cleaning and preparation is such a complex subject that it could easily fill a whole book. This article is a brief introduction of available mineral cleaning methods and their pros and cons. 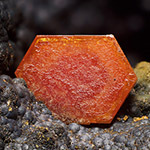 Vanadinite is a popular secondary mineral species of vanadium and lead, occurring as an orange-red hexagonal crystals. Like many other exotic minerals, vanadinite has a complicated history of recognition and identification. 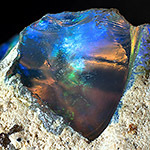 Opal is most valued for the rich variety of colors it exhibits, their interplay in ordinary light, and their unusual range of fluorescence. These attributes have guaranteed its continuing value as a gemstone since pre-Roman times.